You and your family will travel in style in the 2016 Sienna, Toyota's original Swagger Wagon. There is something about this versatile minivan that makes driving fun again. For the first time, this year's Sienna received the Top Safety Pick award from the Insurance Institute for Highway Safety (IIHS). That confirms the new Toyota Sienna is the perfect family wagon for today's lifestyle. Come to Family Toyota of Arlington at 1661 Wet N' Wild Way in Arlington, TX for a first-hand look at the 2016 Sienna. Be forewarned that you may not recognize the new Sienna with all its recent restyling. We have a large selection of them in stock, in all the most popular colors and trim packages, so hurry in for a memorable test drive. All our friends and neighbors in the cities we serve, including Arlington, Mansfield, Grand Prairie, Fort Worth, and Irving, TX are invited, as well. Remember to bring your whole family, and your selfie stick, because family outings have never been more enjoyable. You will appreciate the nice selection of 2016 Toyota Siennas currently on display at Family Toyota of Arlington. Come in early for the best choice of in-stock trim packages and Sienna accessories. Also, remember to bring your Hollywood-style sunglasses for the test drive - if you're going to drive a stylish Swagger Wagon with a plush limousine-like interior, you want to look the part. The original appeal of the minivan was to remind us of exciting excursions in a limousine-quality wagon - shuttling to the airport for a flight, or taking a tour-group trip to the museum across town. Come to Family Toyota of Arlington at 1661 Wet N' Wild Way in Arlington,TX, also serving Arlington, Mansfield, Grand Prairie, Fort Worth, and Irving. 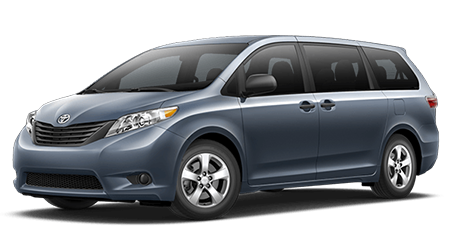 You will see that the 2016 Toyota Sienna has not lost its appeal.